We take the complexity out of local and global stakeholder engagement, collaboration and innovation. Planning a live meeting and then driving or flying to a specific location for a day takes substantial time, a limited resource for everyone! The cost of meeting rooms, hotels, flights, food and beverage and audio visual equipment make live meeting execution very expensive. Planning and coordination for live advisory boards take energy and tap into the limited number of human resources assigned to most brands. Due to budget and time constraints, most brands are only able to connect with key customers annually, at best, and follow-up is often an afterthought. An advisory board consists of a continuous relationship with a limited group of Stakeholders that meet on multiple occasions during their mandate to advise Members on different aspects of their business. Impetus builds private, customizable client portals using our proprietary Impetus InSite Platform®. Portals come with a client’s own brand, logo and colour palette, as well as a unique, SSL encrypted URL/domain name. 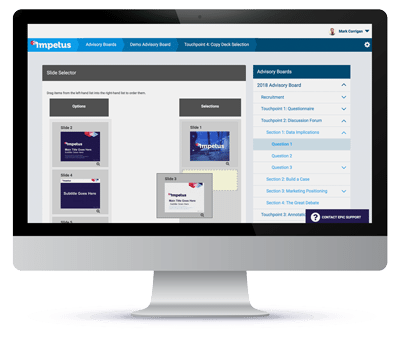 This is a turnkey solution: Impetus provides all setup, configuration and portal and assignment management. Each portal is customized to house the online touchpoint assignments planned in the Campaign of Interactions®. Company portals use discrete user authentication via email address to prevent unauthorized access. Our platform is hosted in a secure data centre with top-level security, and has passed all Global Risk Assessments. Your data is safe with us! 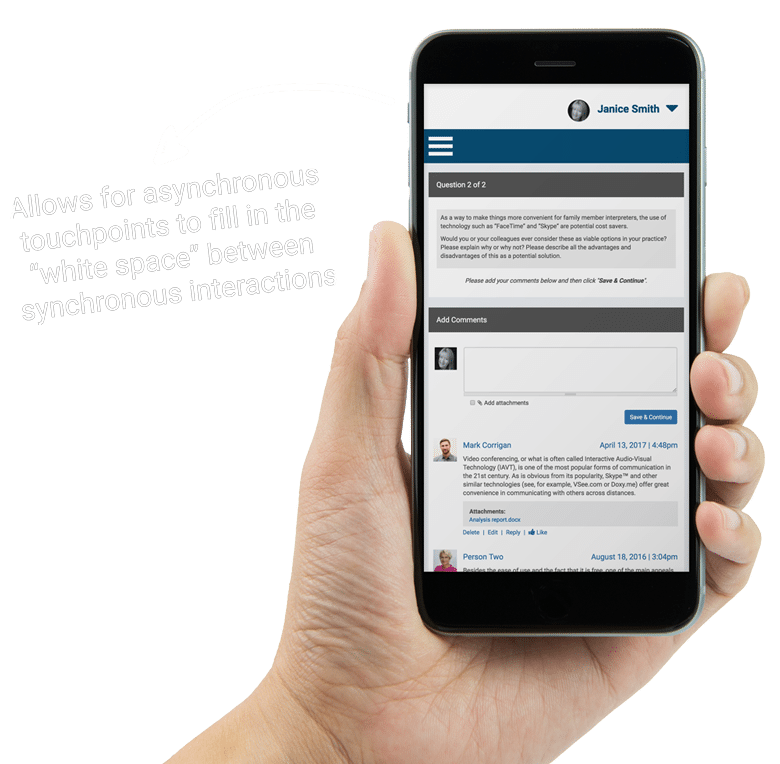 Impetus helps fill in the ''white space'' between synchronous interactions with online assignments. Click to learn more. 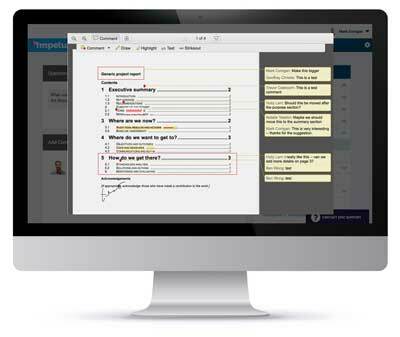 By far our most popular tool for advisory board online touchpoint assignments. Documents, abstracts, posters, powerpoints or articles can be provided online as flipbooks or for download as background reading. Advisors are asked a series of questions which they can answer using a “discussion forum” response box. When they click “save” their response is visible for their colleagues to review. Advisors or moderators can respond to their colleague’s comments adding the flavour of “discussion” to the assignment. 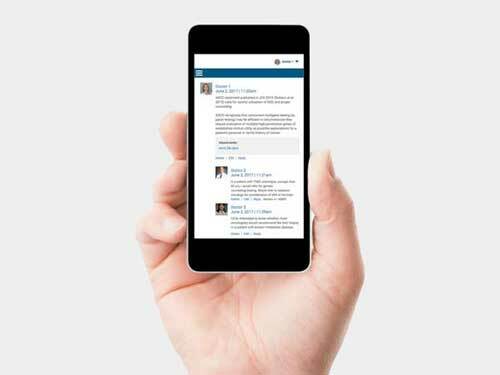 Engagement rates are very high for this type of assignment as advisors can log in from any device and at any time that is convenient for them since the assignment is asynchronous. 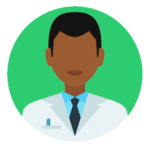 Advisors appreciate being able to participate and to be able to provide their feedback without having to rearrange their schedules. Online touchpoint assignments that use questionnaires as the digital tool of choice allows company leads to extract detailed, granular insights from their advisors about a specific issue or need. Surveys can ask qualitative or quantitative questions and can be comprised of multiple choice (select one or many), ranking or text box questions. 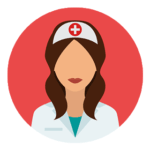 We can also have specific questions appear for certain people based on the previous responses they select in the questionnaire. While questionnaire assignments are live, company leads can have private on-demand access to the survey responses as raw data or in aggregate in graph or chart analyses. 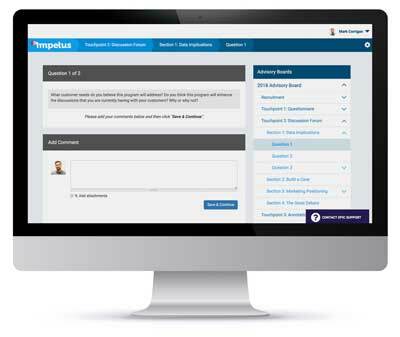 The Impetus Annotation tool allows company leads to solicit defined feedback to specific materials they are developing. When advisors log into a company private portal, they can view slides, consensus documents, protocols, copy or project outlines which they can annotate. Advisors can click on the “comment” button and then click on the part of the document that they would like to annotate online. A comment bubble with the advisor’s name will appear automatically which is where the advisor adds their comments. Other advisors will be able to see their colleague’s comments real time. This will allow advisors to annotate documents without having to worry about version control. The annotation tool is a great system for draft development of manuscripts, brand materials or publications. Each online touchpoint assignment can be a different draft of the original document. The Impetus Slide Selector tool allows advisors to select slides from the left-hand “Options” column and drag them to the right-hand “Selections” column. They can also drag slides within the “Selections” column into their desired sequence. In the summary report, Impetus will send you the most popular slide selections, and the most popular sequencing of slides. Slide selection assignments are useful for medical education programs, symposia speakers, and for “Speaker Train the Trainer” sessions and programs. 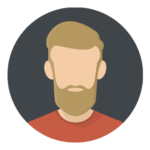 Impetus takes the pain out of in-person meeting logistics and brings an innovative approach to workshops. Click to learn more. Consultation. We develop program objectives, meeting agendas, presentations and workshops and facilitate meetings with faculty and project team, slide review sessions, and dry runs. Material development. Management and version control of the agenda, slide deck, moderator guide, and workshops. Creation of all meeting collateral and materials. Relentless project management and logistics. We flawlessly execute projects from inception through to execution. We manage the streamlined online advisor recruitment, meals, hotel, food, signage, activity tracking and reporting. Varied meeting experiences. 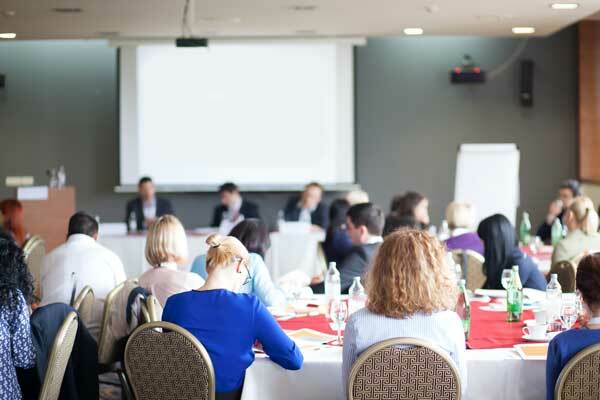 Impetus offers a variety of innovative workshops and breakout session strategies, and encourages minimizing traditional presentations, in order to increase engagement and encourage advisors to respond and participate. Meeting follow-up. We personally follow up with participants on your behalf and execute an online post-meeting evaluation. We also capture meeting strategic insights and recommendations in a meeting analysis summary report and facilitate a debrief meeting with you to discuss results, key insights, and recommended next steps. Like no other! 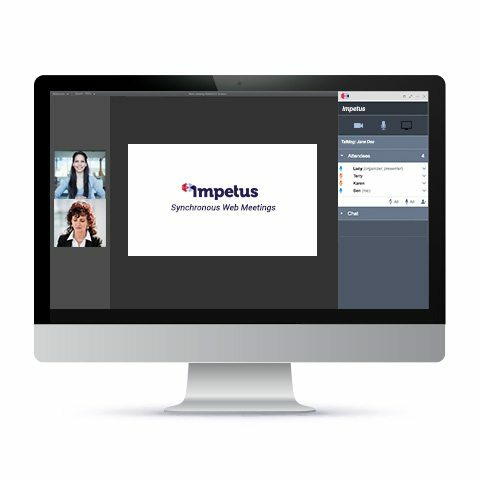 Impetus hosts and facilitates highly interactive web-based meetings, which can be used to reach a consensus or to finalize details on a long-standing project. Click to learn more. Sometimes there is a need to call advisors to an online meeting. Usually this occurs after advisors have completed an online asynchronous assignment and a company lead would like to discuss the results in more detail. Other times, it is used to reach consensus on a controversial issue or finalize details on a long standing project. Web meetings can occur at a time that is most convenient for the group. 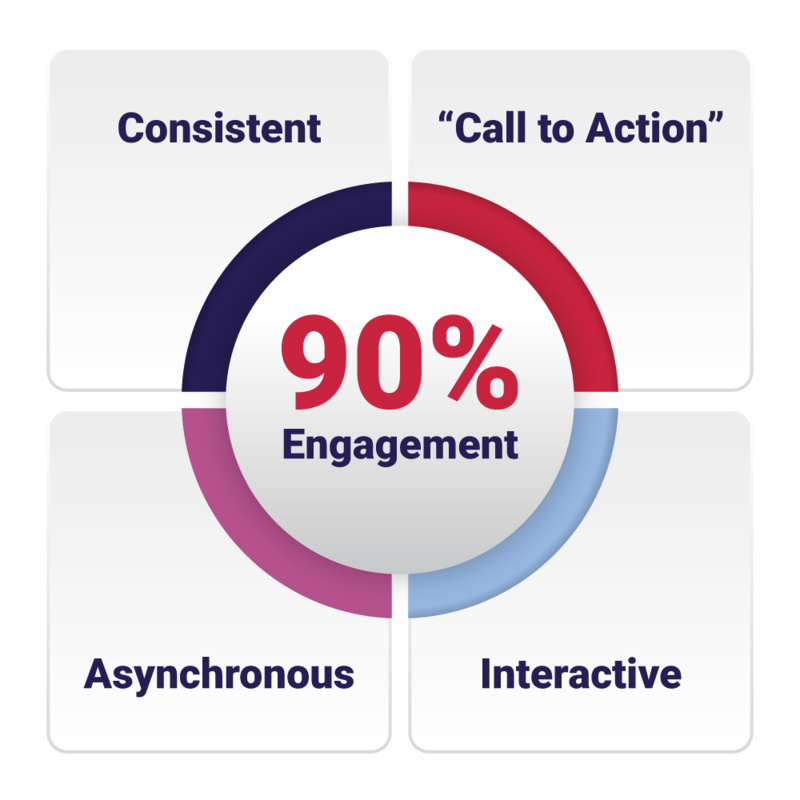 Impetus can also develop and facilitate an asynchronous pre-meeting engagement (e.g. to distribute educational materials, or poll the group for questions), so you can ensure the web meeting time is spent efficiently. 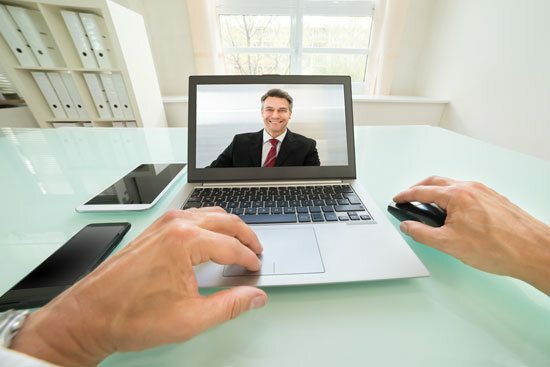 Advisors can login using the web meeting credentials from any location as long as they have access to a wireless connection and a phone line if not using VOIP. 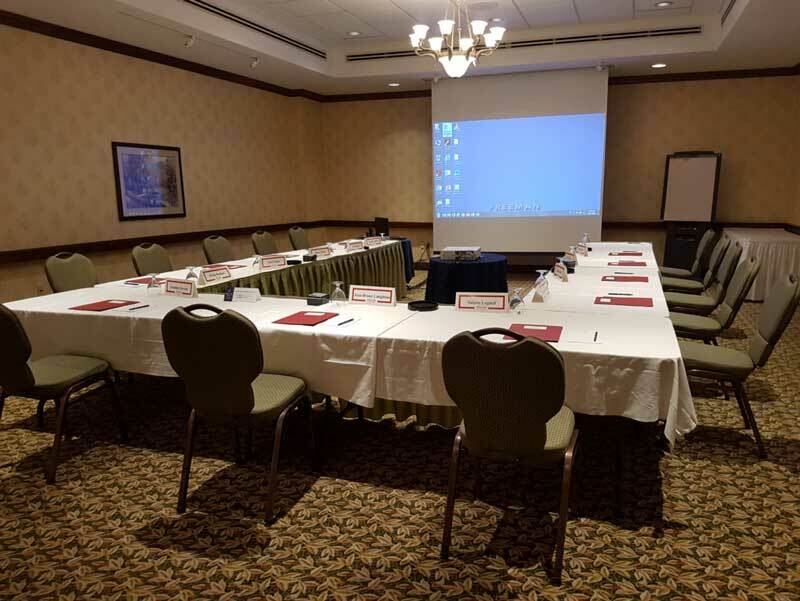 Meetings can be accessed using a computer, tablet or a smart phone. Our clients are the lifeblood of our business, and we are passionate about working strategically to develop, implement, and sustain online portals to enhance communication and collaboration between our clients and their customers. There are many benefits in working with Impetus Digital. It is wonderful to work with people who know what they are doing and have lots of experience in conducting advisory boards. Impetus guided us through the process, and being able to do a lot of the things that we don't have the time or skills to do has been instrumental. This has probably been the easiest meeting we have put together! A very useful platform for any activity generating a specific output or requiring confirmed input from customers. One added benefit is that you have evidence and metrics of the quality of input from your individual advisors... I would definitely recommend them to others. 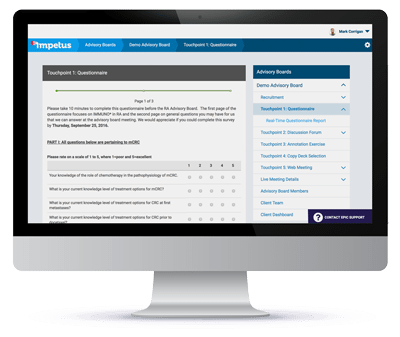 We have worked with Impetus Digital for many years now and have seen quite an evolution of our online portal ... initially what was developed for meeting logistics support has now turned into an extremely cost effective and impactful tool for engaging our customers in a consistent and meaningful way. The platform worked very well! It was a great user interface — we need more well-designed technology in healthcare! I did like the format too. It does give you time to think about your answers, as well as the ability to read each others posts to stimulate further thoughts. I also like the fact that we can do it at our own convenience! I have been extremely impressed with the services that Impetus has to offer. The account manager I work with at Impetus is one of the best in the industry. He has the ability to assess my needs and partner with me to develop outstanding programs. He is forward thinking and often brings suggestions to the table that elevate my projects. 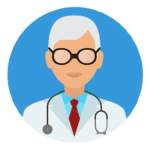 We leveraged the Impetus InSite Platform to create a standing payer advisory board. We were able to create a series of online touchpoints through the year and ask a variety of questions pertaining to our product launch. Our advisors are fully engaged and love the convenience of the portal.